Do you have loving memories of a family member’s hands? Perhaps your own mother’s soft hands with short nails, or a grandparent’s loving touch comes to mind. Strong and capable, your hands are an important part of your body. 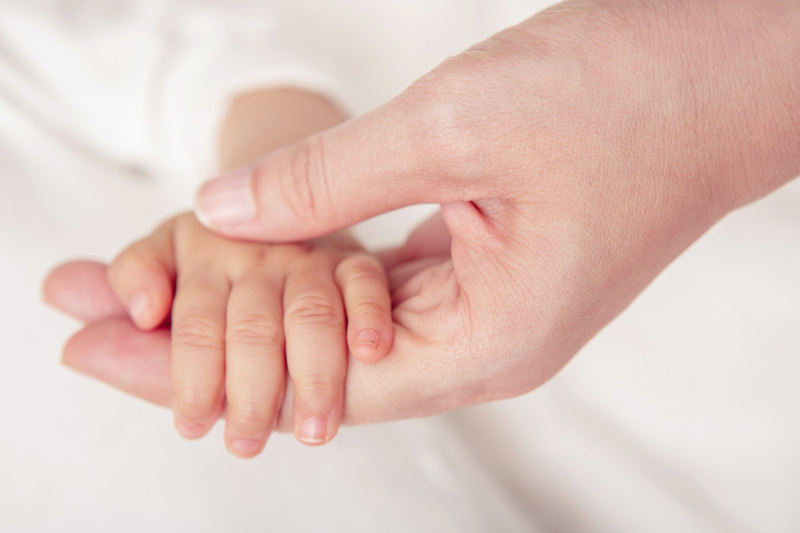 Your baby needs contact with your skin, and your hands provide nurturing. Yes, your hands are used for diapers, feeding, washing, and all baby tasks. Your baby likes to feel them on his body. All day. If your baby is in his chair watching you, walk by and talk to him, placing your hands on his arm. If your baby is lying on his tummy, gently pat his back and talk to him. Transfer the warmth of your hands to your baby’s body, there is nothing but positive about touching your child. 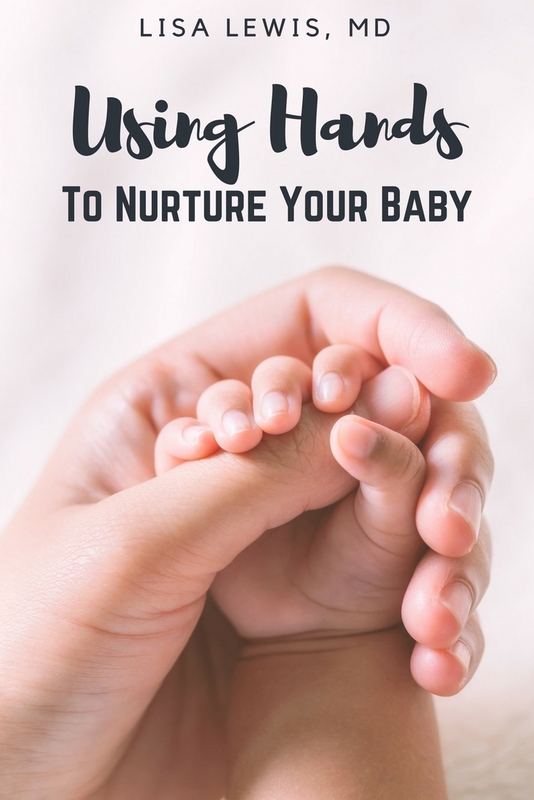 Here are some ways to use your hands to enhance contact with your baby. Use lotion on your hands to keep them soft for touching. Your baby will respond to your hands whether soft or dry, but will love the gentle feel of softness after you use lotion. If your baby has sensitive skin, use unscented lotion. Hands used as visual entertainment. Gently clap your hands while singing a song. Wiggle your fingers in your younger baby’s view; watch the delightful smile or intense stare. For fun play, add extra movement. Play Pat a cake, sing and rhyme in rhyme, a simple traditional hand game. Put them in the pan! My friend, Catherine, reminded me there’s more than one version of Pat a cake. Choose one you like! Tickle with your hands. Tickling should be quick and fun to produce a smile, giggle, and enjoyment. If your baby seems annoyed by tickling, promptly stop. As an alternative, you can try ‘walking’ two fingers up the leg. Babies six months and up will want to play with your fingers. Finger puppets with no parts that can be choked on are great to place on your fingers so your baby can feel and touch them. Take your baby in your hands and hold her up in the air. Hold securely, and move her up and down. You can make airplane noises. Babies love looking around high and low, this is a sure way to enjoy fun activity time. What a great activity for strengthening your arms! Show a lovely manicure or pedicure to your baby. Just got your nails done? He will enjoy the change in color, and feel the slick texture of the polish. Give a loving bath. Your hands should be visible and loving at bath time. Yes, they are functional. If your baby seems calm and relaxed, wash her slowly, delicately massaging parts of her body. Gently rub and massage with your hands. If she seems like she’s in a playful mood, use your hands to lightly splash the water. Laugh with her when she splashes back. Hand her different objects to look at. Bath toys are fun, and available in stores. You can use plastic bowls, cups, spoons from your pantry in the bathtub. They are easy to find, and fun to bang together and pour. When the bath is over, use your hands to wrap your baby in a cozy towel, holding her and letting her continue her exploration of your hands. For ages 6 months and up, show your baby different temperatures with your hands. If you are holding a warm cup of coffee, let him feel how warm your hands feel. If you are holding an iced beverage, gently place your hand on his hand so he can feel the coldness of your hand. Be careful not to place a cold, icy hand on a baby anywhere but his own hand, as you don’t want the shock of the cold to scare him. Enjoy hand activities outdoors. How much enjoyment from nature can you gather to show your baby? Let your baby feel the contrast between dry and wet leaves. Pick off dandelion pieces. The opportunities to nurture your baby with your hands outdoors are endless. For more songs and ideas for hand movements, visit Mama Lisa’s World, International Music and Culture.